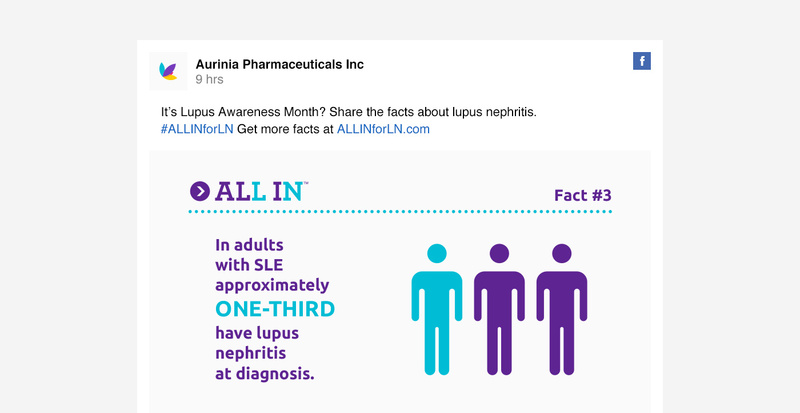 Aurinia Pharmaceuticals wanted to make a meaningful contribution to lupus nephritis awareness during Lupus Awareness Month and beyond. 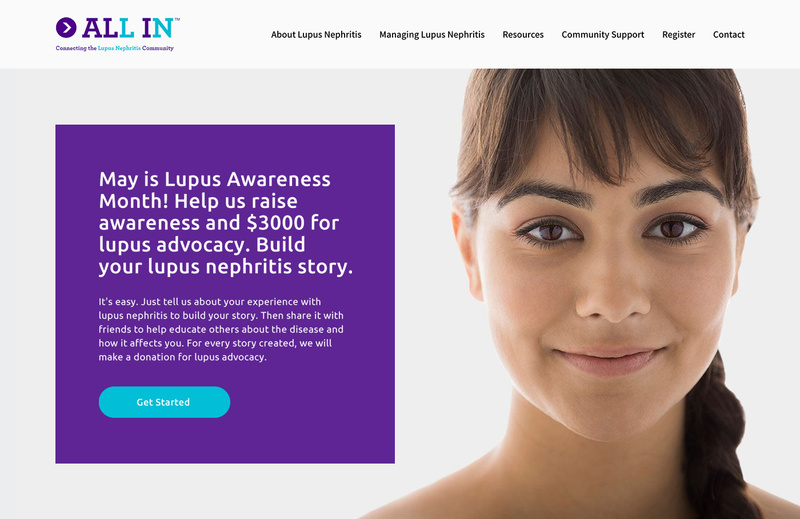 The resulting campaign aimed to position Aurinia Pharmaceuticals as a category leader by implementing strategic brand awareness tactics that generated interest and drove traffic to the ALL IN Disease Education website and ultimately established a meaningful relationship between patients, care partners, and the lupus nephritis (LN) community. 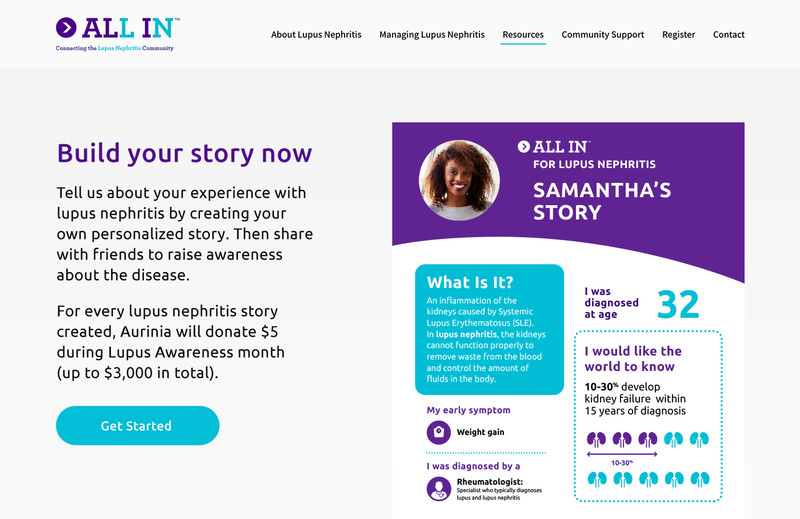 Key elements of the campaign included the Build Your Story tool, a first of its kind in pharma, and supporting promotional tactics including paid search (PPC), search engine optimization (SEO), an organic social media campaign, and an email blast. 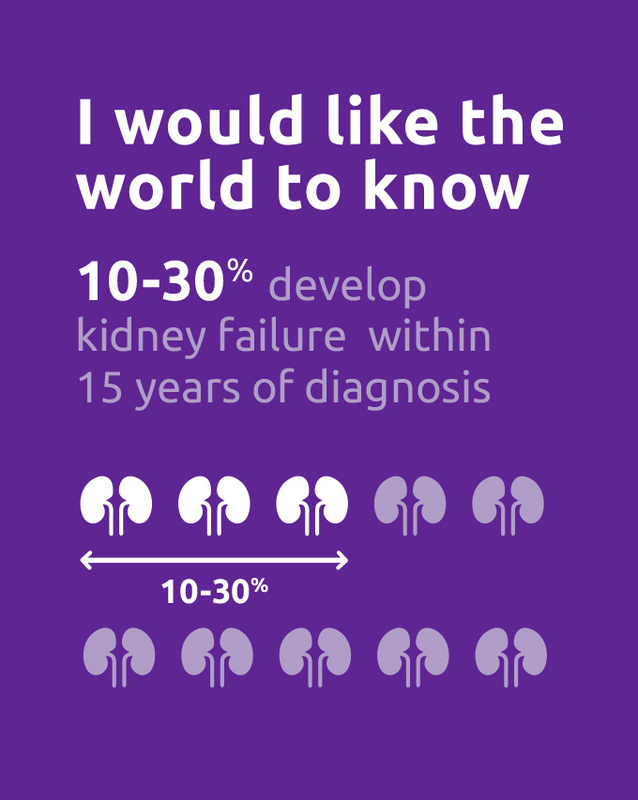 Aurinia made an impact beyond expectations. 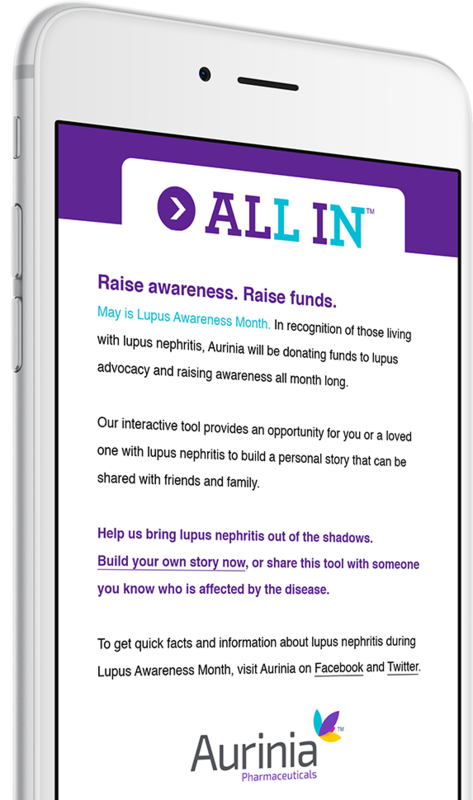 Through the program, Aurinia successfully raised awareness and engagement while raising funds for lupus advocacy. 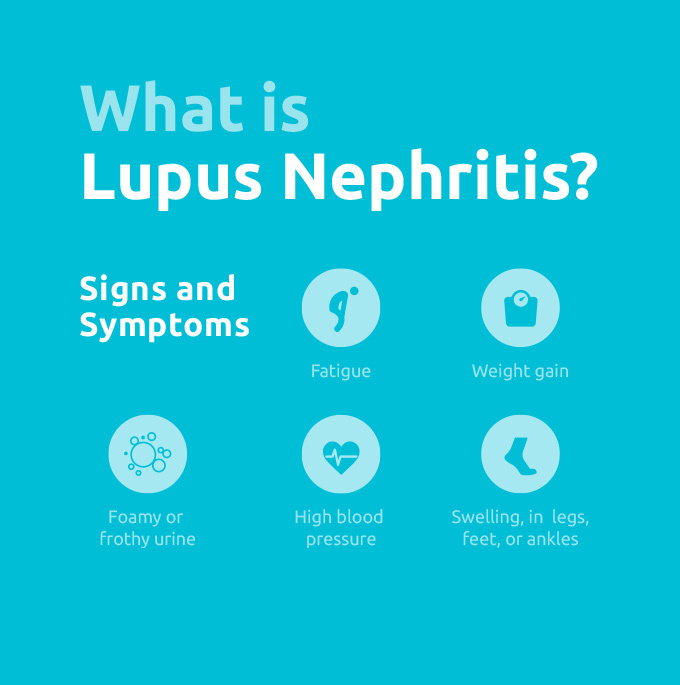 © 2019 Baldwin & Obenauf, Inc.